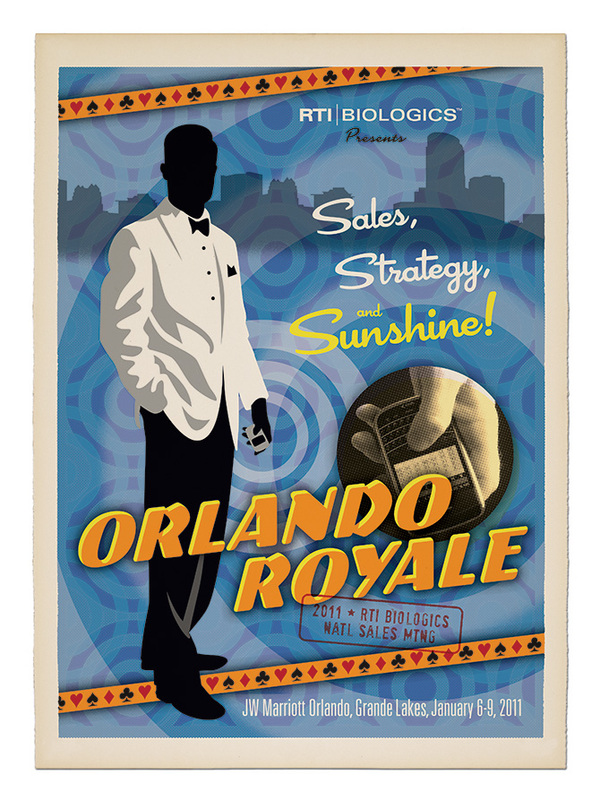 A spy theme was the direction given to promote RTI Biologics' National Sales Meeting in Orlando Florida. 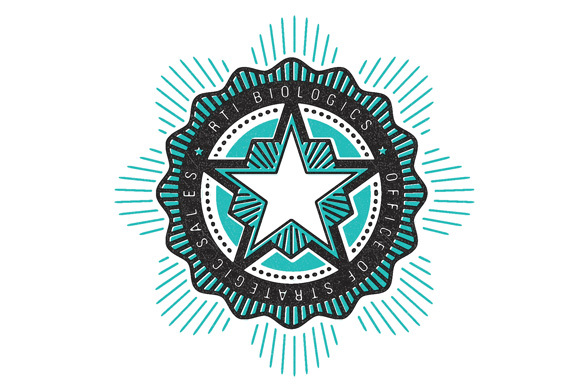 Referencing a cold War aesthetic, a logo for the mysterious "Office of Strategic Sales" was created, and the meeting mailers and promotions positioned as Top Secret communications. 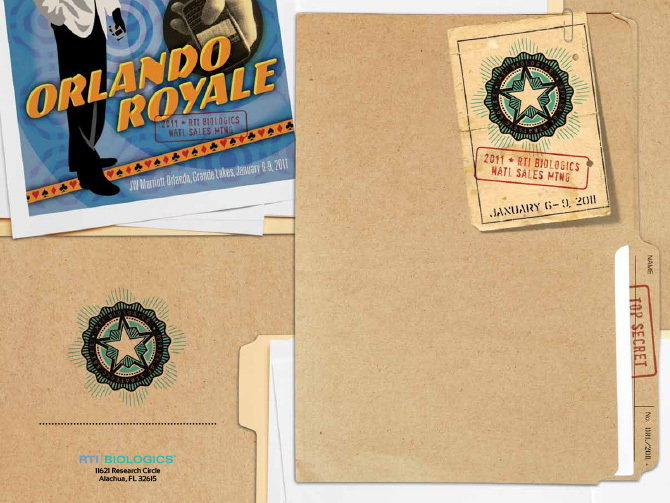 The poster itself has fun referencing an inside joke of sorts: the power of the cellphone as the ultimate spy gadget and sales tool.